We last saw the Giulietta in South Africa back in 1985, and over the years it has become a collectors item amongst Alfa Romeo fans. So I grew up with hopes of one day owning one of those Giuliettas. I mean, seriously, who wouldn't, at that time the 2 litre Turbo charged Giulietta produced 125kw, which was amazing. Over 15 years later Alfa Romeo decided to release the current Giulietta, and I do believe that they have missed the target on this one. 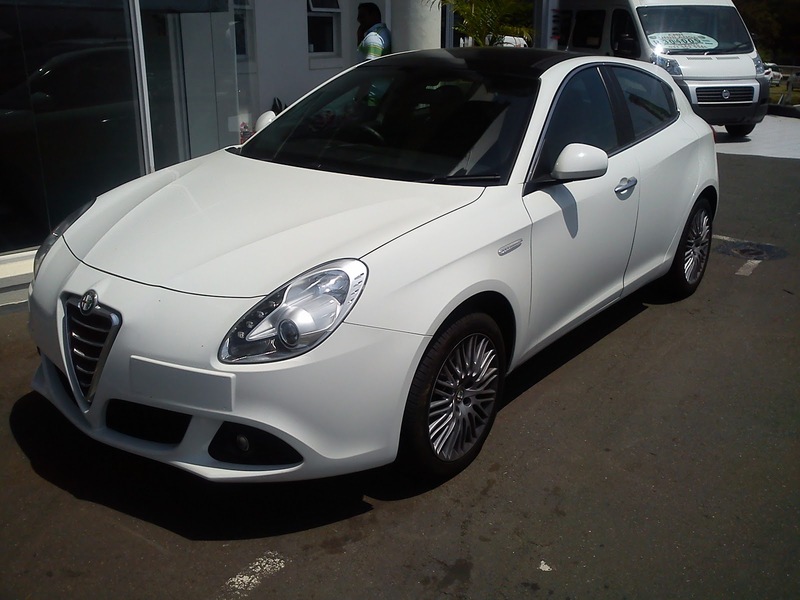 The 2012 Giulietta has style, elegance and power. But there's one element that's missing, which the last Giulietta had and that's that sporty feel, which was one of the biggest attractions to the Giulietta legacy. Yes, there is a lot of power in the new Giulietta, but that does not automatically mean that it is a sporty car. The model that I drove was the 1.4T Distinctive, which created 125kw of power and 250NM of torque. From the outside, the car has fine lines and curves that gives it a sense of artistic beauty. Once inside it feels like you've jumped into a totally different car. But this may not be a bad thing. Inside you have a tamed layout which lends a feel to a luxury vehicle. There's nothing that tells you that this is a 125kw car. In fact, even when I drove it, it seemed like it was a just an ordinary 1.4 assisted by a turbo. 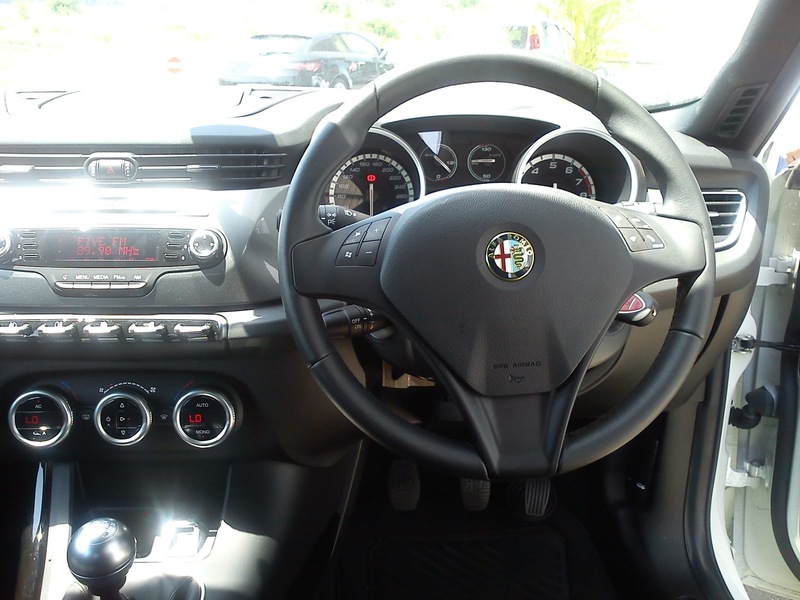 As I did the Sibaya route, the Alfa Sales person told me to have a look at a little switch just above the 6 speed gear level. It had three settings with the letters D, N and A on it. It was on N (Normal), I switched it to D (Dynamic), and pushed the accelerator a bit further, and that's when I felt the 125kw that I was expecting. It was fun running through the gears and the suspension was great as well, there was a time that I had to do a quick break to try and avoid an uneven patch on the road, but as I was breaking over the uneven road, the ABS and suspension did an excellent job of keeping the car stable, normally you would get the car bouncing all over the place and the ABS sort of allowing the car to glide over the bumps, but the suspension of the Giulietta kept all four wheels firmly on the tar and the ABS somehow managed to slow the car down. ... by the way, I was told that there is no automatic option in the Giulietta range. The Distinctive is not a replacement for the old Giulietta, but it is a whole new car that was designed to cater for the needs of not only the sports car drivers, but the needs of the average buyer as well. The Distinctive is priced at R292 000. I suppose if you are looking at getting raw power out of a Guilietta you also have the option of the top of the range, which is the Quadrifoglio Verde, which sells for R345 000. For just over R45 000 you get bumped up from 125kw to 173kw, now that sounds like a sweet deal.